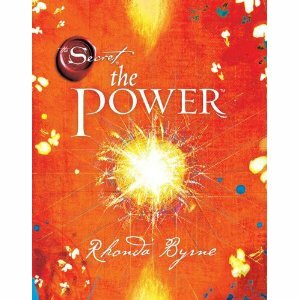 Rhonda Byrne’s The Power: Is The Packaging The Problem? A common reason people attack The Secret (and now, Rhonda Byrne's sequel, The Power) is that it promotes a self-centered and "consumerist" attitude. Byrne, critics say, encourages us to focus on "manifesting" luxury cars, expensive shoes, and so on, rather than on helping others. It's true that the Law of Attraction is often packaged as something we can use to improve our own lives, rather than those of others. The publisher's description of The Power, for example, proclaims that "perfect health, incredible relationships, a career you love, a life filled with happiness, and the money you need to be, do, and have everything you want, all come from The Power." On the other hand, we can certainly imagine people using the Law of Attraction (assuming, for the moment, that it works) to serve others. Perhaps we might visualize a sick relative getting better, hungry people receiving food, or a dangerous tropical storm abating -- just as Buddhists pray for the wellness of all beings in Metta, or loving kindness, meditation. So, I suspect many critics' real gripe with the Law of Attraction has to do with the "self-centered" way they think it's marketed, rather than the concept itself. To be sure, some critics recognize that the Law of Attraction -- again, assuming it works -- can potentially be used to help others. The real problem, they say, is that it obviously doesn't work. Wishing a tropical storm won't devastate a town simply won't have any effect. Even if this critique is right, I think it's open to the objection "so what?" People do all kinds of pointless activities, such as (in my opinion) watching reality TV and tweeting about what they ate for breakfast. Even assuming it accomplishes nothing, why is visualizing the improvement of others' lives more problematic? This is where some charge that trying to "manifest" what we want isn't just a waste of time -- it's socially harmful, because every minute we spend visualizing is a minute we could have used taking concrete action to help somebody. If this argument is right, we should expect religious people to do less charitable giving than unbelievers. While believers are uselessly propitiating their imaginary sky-god, atheists are down in the trenches, solving real people's problems -- right? Actually, much evidence suggests the opposite: religious people tend to be more generous than unbelievers. In Who Really Cares, a study of charitable donation, economist Arthur C. Brooks found that religious belief was the strongest predictor of giving to charity among the factors he looked at -- more so than any political orientation, age group or race. So, while it may be true that believers spend time in worship that nonbelievers don't, it seems religious people nonetheless find the time to do more giving. But why? One plausible explanation I've heard is that religious people are happier. They feel more secure, and grateful, living in a universe they see as orderly and benevolent. And psychological studies have found that happier people tend to give more generously. In any case, all this suggests that we shouldn't be too quick to conclude that adherents of the Law of Attraction are less likely to be charitable, simply because they believe their thoughts can affect reality. Of course, because the ideas in The Secret are different in many ways from traditional religion, we shouldn't necessarily assume The Secret's followers are more giving either. We'll explore this issue in more depth soon.